To assist pet owners who use airlines to ship their pets, the U.S. Department of Transportation (USDOT) is requiring all U.S. based airlines to file an annual report disclosing the total number of animals that were lost, injured or died while being transported by air. 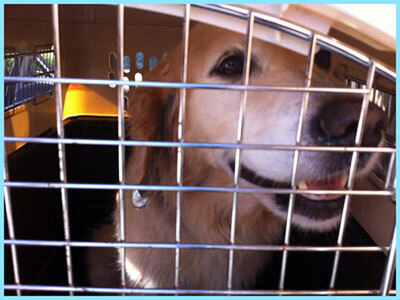 While the national media outlets generally report only the most dramatic and heart wrenching pet transport stories, the fact is that air transport is safe for the majority of pets. The 2014 report from the Department of Transportation on pet transport and airline safety has been issued and the report shows that the pet shipping process is overwhelmingly safe. According to the Department of Transportation, two million animals fly annually in the United States which means that the possibility of loss, injury or death is approximately 1 in 45,000. That means the chance of something going wrong is 0.999978 percent, which makes moving your pet using air transport very safe. As a professional pet shipping company, Island Pet Movers takes all of the necessary precautions to ensure the health and safety of the animals we ship. We will handle all of the shipping logistics from door to door, making sure that your pet is comfortable every step of the way. We check the crates to make sure they comply with all airline safety regulation and that it is properly labeled and secured to prevent any escape. 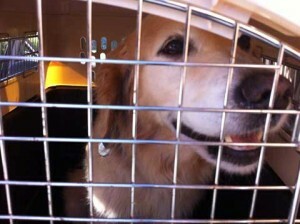 We also inspect the crate to be sure that it is dry and that your pet has water available during the flight. If you would like to read more about the USDOT report, you can check out the news article here. PS – Have you ever wondered how your dog experiences the whole pet shipping process? 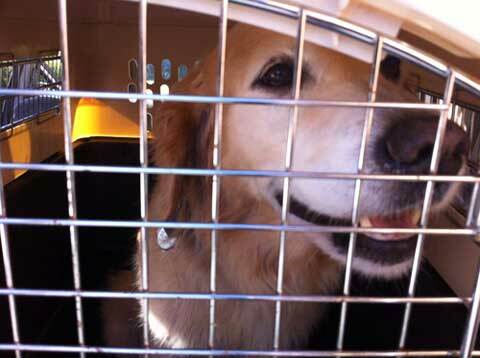 Here is a great video we found on youtube that gives you a little glimpse into the dog’s mind while in transit. OK, we might not ever know for sure what goes on in that fuzzy dog head, but we can imagine.